How to Use Apple Cider Vinegar for Weight Loss - Nature's Fat Blocker. July 17, 2017 By Peter Irlam 7 Comments / This post may contain affiliate links at no extra cost to you. Please see my full disclosure for more info. 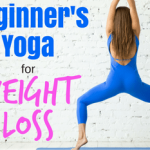 Learning how to use apple cider vinegar for weight loss is a simple, quick addition that anyone can make to their eating plan. 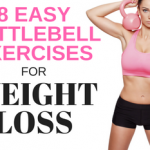 Lauded by experts, it’s the closest thing to a magic elixir that will help you lose weight. 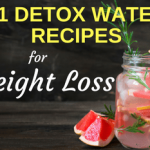 Not only will it help you lose weight, but this incredibly popular weight loss drink contains many other health benefits listed below. Firstly, apple cider vinegar is simply crushed apples that have been fermented. Next, the sugars within the apples turn to alcohol. Lastly, during a second fermentation, the sugars are converted into vinegar before the miracle product is ready to drink. What Does Apple Cider Vinegar Contain? Potassium: Potassium’s function includes regulating the electrical activity of the heart and helps to maintain a healthy blood pressure. 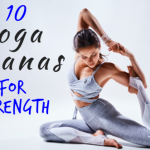 Magnesium: Crucial for muscle contraction and energy production. I’ve been supplementing my diet with magnesium malate for years and clearly notice the difference in energy levels. Probiotics and enzymes: Like many fermented foods, if you suffer from IBS and digestive problems, ACV can keep your gut healthy. When I was diagnosed with esophagitis, duodenitis and gastritis (all at the same time), ACV soothed these painful symptoms instantly. Most notably, ACV also contains acetic acid…Nature’s antibiotic! This remarkable compound kills dangerous ‘bad’ bacteria on contact whilst boosting cultures of ‘healthy’ bacteria. Despite its name, acetic acid exerts an alkalizing effect on the body which is great for boosting energy and warding off cancer. Clears a stuffy nose (the potassium thins mucus). May even kill cancer cells or slow their growth. As you can see, ACV is not only great for weight loss, but promotes overall health and vitality. 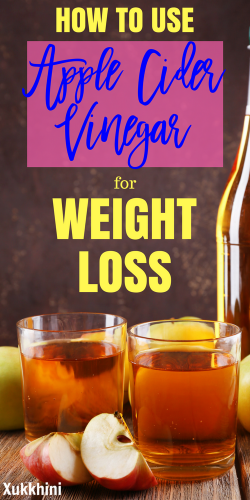 Let’s move on to the what ACV does and exactly how to use apple cider vinegar for weight loss. Researcher, Carol Johnson, from Arizona State University noted that ingesting ACV at meal times increased feelings of fullness. Furthermore, taking two tablespoons of ACV in water just before bed, lowered blood sugar levels an average of 4 to 6 percent by morning. 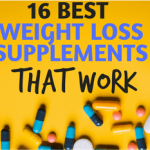 So why is this important for weight loss? Well, lowering blood sugar levels prevents insulin spikes which ultimately leads to fat storage. 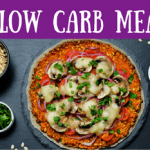 This is confirmed by Dr. David S. Ludwig in his book ‘Always Hungry?’, who states that slowing the rise in blood sugar after a meal is key to weight loss. You’ll eat fewer calories, store less fat and feel less hungry! 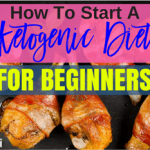 Firstly, most of us rarely consider the acid/alkaline level of our blood. And for optimal health, our blood should be slightly alkaline. This helps to protect us from the inside out. Unfortunately, due to our modern lifestyles, most us tend to be more acidic than alkaline. Whilst ACV may appear to be acidic, the pH of foods is determined by how the body breaks it down. Many seemingly acidic foods such as lemons and limes actually exert an alkalising effect in our bodies once broken down. Limiting acid-forming foods (sugar, processed foods, alcohol, coffee) and eating more alkaline-forming foods (vegetables in particular) can protect your body from obesity by increasing leptin levels (the satiety hormone). Therefore, ACV helps your body achieve normal leptin levels and thus feeling full after eating. 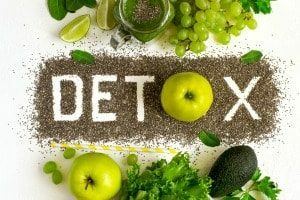 We hear a lot about this process, but what does detox mean? Simply put, detoxification is about resting, cleansing and nourishing the body from the inside out. Detoxing can benefit organs and even individual cells. Toxins can be from food (wheat, dairy), the air, water, mold, clothing. Today, with more toxins in the environment than ever, detoxing regularly plays an ever-increasing role. Many claim that the body is designed to naturally detox and perhaps this is true. But does that account for all the pesticides and pollution to which we’re exposed and nutrient-poor foods due to over-farming? How does ACV help detox your body? Glad you asked: ACV contains powerful enzymes, kills ‘bad’ bacteria and cleanses the intestine. All this is exciting news for weight loss. But don’t just reach for just any ACV. Make sure that it’s cloudy and contains lots of pulp (the ‘mother’) which contains the highest amount of probiotics that feed you ‘good’ bacteria. With so much food designed for taste rather than for its nutritional value, many among us have trouble stopping eating when we should. In this respect, ACV is my new BFF. If I’m ever worried that I may overeat at a fancy restaurant or special event, out comes the ACV. Apples are a good source of pectin which can make you feel fuller and more satisfied. Subjects in a 2005 study who were given varying doses of ACV with a carbohydrate meal. Those who consumed the highest amount while eating reported feeling fuller and more satisfied than their fellow diners. Swedish researchers also reported higher feelings of satiety in those drinking the apple elixir. According to Jonathon Wright, MD, author of ‘Why Stomach Acid is Good for You’, approximately 90% of Americans don’t produce enough stomach acid. This is a troubling statistic. A correct balance of digestive juices ensures proper breakdown and absorption of nutrients vital for life. What good is eating healthy foods if we can’t absorb their goodness? The exciting news is that ACV stimulates digestive juices that help your body break down food. 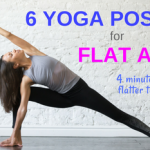 Suffer from bloating and gas? Try diluting a tablespoon of enzyme-rich apple cider vinegar with a cup of water or tea, and drink before a meal. This will also combat constipation. 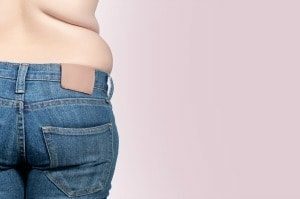 A new study showed that lab mice fed a high-fat diet and given acetic acid (the key component in ACV) developed significantly less body fat (up to 10 percent less) than other mice. It is believed that the acetic acid fights fat by turning on genes necessary to burn fat. This remarkable fat-blocking ability was supported by a clinical trial of obese Japanese adults. The study revealed those who consumed one or two tablespoons of ACV every day lost two to four pounds after 12 weeks. So far, we’ve looked at the evidence to support the claims of ACV’s remarkable weight loss powers. However, I’d like to share some ways in which you can enhance ACV’s abilities for even greater results. Evenings and just before bedtime is when many of us experience hunger pangs. 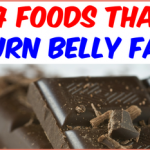 It effectively banishes cravings so you won’t be tempted into late-night snacking. During sleep, our metabolism drops. And as result, we burn fewer calories. 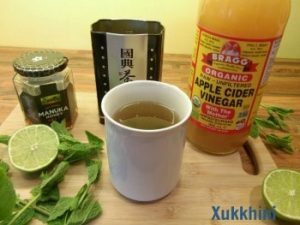 This is my favorite method of using apple cider vinegar for weight loss. Practise drinking ACV a half hour before every meal, and you’ll be amazed at how full you feel. Sometimes it’s hard to stick to a diet when you’re unmotivated and have no willpower to resist temptation. Willpower, after all, is a finite resource and can buckle the longer you draw on its reserves. Top up our willpower by sipping apple cider vinegar. Simply taking positive action, when you feel your willpower crumbling, will give you the motivation to stay on track. Deliver ACV strategically when you think it will support your weight loss goals most effectively. For example, if you tend to snack before bedtime, drink it in the evening. 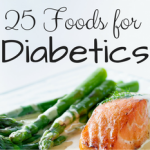 If you tend to overeat at mealtimes, administer your dose before meals. Find what works for YOU, and capitalize on that. 5. How Much ACV Should I Take? The bad news is that ACV is not dose-dependent. In other words, past a certain amount, the benefits will not increase in proportion to the dose. 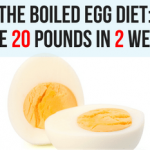 Therefore, 2 to 3 tablespoons a day is ideal for weight loss. Furthermore, swigging the stuff neat is NOT advisable (I’ll give you some drinks recipes below of how to combine ACV with other healthy ingredients). The brand that I use and the only one that I recommend is Bragg’s Organic Raw Unfiltered Apple Cider Vinegar. This iconic brand has taken the health world by storm. ‘Super remedy I started using in January I’m now 3 stones lighter (no exercise)’. ‘My health, digestion and energy are much improved. Thoroughly recommended’. ‘Love Love Love it!!! Use it as Hair Cleanser, Face Mask ingredient, and to stave off hunger on bloaty days’. ‘It works! I was a bit of a skeptic, but it works! and I feel as light as a feather and healthy’. 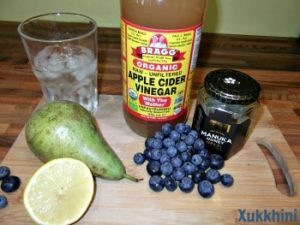 Make Your Own Refreshing ACV Drinks. 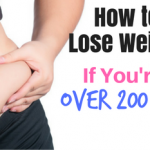 I learned how to use apple cider vinegar for weight loss many years ago. My preferred method is adding it to chamomile tea. The delicate tones of the chamomile pair up nicely with the ACV. It makes the perfect refreshing summer drink. Raw manuka (or plain) honey. 1 teaspoon of freshly squeezed lime and/or a sprig of mint. Numerous studies reveal how green tea helps to burn fat and increase the metabolism. The honey provides sweetness and the mint pairs nicely with the ACV to aid digestion. Lime is incredibly alkalising and helps neutralize a typically acidic Western lifestyle. 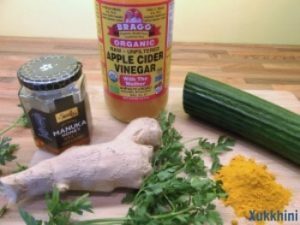 A dash of ground ginger and turmeric (just enough to feel the health benefits). Blend the ingredients with water. Enjoy! Ginger aids digestion and boosts the metabolism. Turmeric is one of the most powerful antioxidants in the world and will destroy free radicals. The parsley is packed with micronutrients, minerals and antioxidants and is also good for belly bloat. If there was ever a miracle, fat-burning drink this is it! For best results, take before bedtime. This ACV drink is pulpy, sweet and delicious! Blueberries are a powerhouse of antioxidants. Pears are full of dietary fiber which compliments the ACV’s ability to promote fullness. 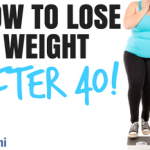 I hope you agree that learning how to use apple cider vvinegarfor weight loss is simple, easy and pleasant. « 14 Foods That Burn Fat! WOA! 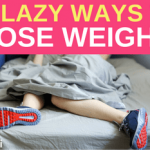 I had no idea that was possible… this is the very first article on losing weight that actually surprised me! Thank you for that. I will be returning. Hi Darcy. That’s what we aim for here at xukkhini. I’m really pleased that you found something new and worthwhile. Thanks for sharing! Stay strong, Peter. Surprisingly how many positive features this has for the body. I really like the process to make your own AVC and the variety’s with tea, parsley, honey, … and the other mixes. So one can create your favorite taste. Hi Philip. That’s right, ACV has many external applications as well! Your only limits are your imagination. These recipes are just to give you an idea of what’s actually possible. Thanks for sharing man, Peter. I have often heard the great benefits of acv for cleaning and disinfecting. Thank you for the recipes. I don’t have an overweight problem, but I am always looking for more natural ways to be healthy. I will try the chamomile tea recipe. Hi Andrew. Chamomile tea is also great for relaxation and a long stressful day or simply to unwind of an evening. Glad to hear you’re happy with your weight! Kind regards, Peter.